Showing results for tags 'kanium'. KANIUM SUNDAY 3rd OF June 1800 GMT - "CATASTROPHE FOR SWEDEN" BY Swordsmandk & Kingtiger & Major Duck Where: Kanium TS : teamspeak3.i3d.net:10077 World Clock 1800 GMT(Same time as always) World Clock 1800 UTC IMPORTANT NOTICE: This SB session may be recorded w. video and sound and uploaded, including to a public youtube channel Everybody is Welcome you don't have to belong to kanium Soviet Forces have made a totally unexpected and unprovoked attack on Sweden. NATO has rushed NRF forces to oppose them, accepting Sweden as the 29th member of NATO in the process. The Swedes have done what they can to slow the Soviet advance but are under extreme pressure and being forced to fall back. 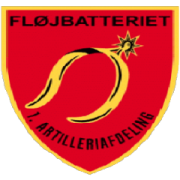 As soon as our Danish battlegroup arrives it will team up with 72nd Swedish Mech Inf Btn in order to stop the Soviet advance and start a counter attack. The C.O has driven all night and the situation is very confused. He has therefore had little opportunity to make detailed plans and must respond as best he can 'on the fly'. This is a big scenario with a lot going happening on a big map with retreating Swedish forces scripted and visible in the 3D view. The C.O's situation will be simulated by posting the .sc file only few hours before mission start time which will allow him to do some terrain reconnaissance and draw up a rough plan - but not much more. In any case, the enemy's tactical intentions are unclear so he will have to react to their initiatives as best he can. A perfect opportunity for those who find the whole planning process a bit tedious! The scenario requires at least 12 players, and if we fall short we will save it for another day and run another scen. There are a number of SB players playing ArmA. Not sure when or which groups they are playing with, but an open offer that Kanium plays ArmA on Sunday at 1600 GMT. If you or your group is interested in linking up, just get in contact with us and we can get you in, or coordinate for a joint-VU operation. We are currently fielding one full tank platoon as well as a full mechanized infantry section. Our playstyle is exactly the same as SB, with a focus on coordination and teamwork. KANIUM SUNDAY 8th OF April 1800 UTC "Dahlumer Roulette Part 2" by Abraxas translated by Duke Where: Kanium TS : teamspeak3.i3d.net:10077 World Clock 1800 UTC Everybody is Welcome you don't have to belong to kanium Everyone is allowed to play but leave the drama at the door YOU are company commander of 4./911. Orders CDR PzBtl 911for defense south of ELM (excerpt) 1. situation a. enemy: RED is attacking from the EAST with point elements near OSCHERSLEBEN (15km south-east of SCHÖNINGEN); spotted 1 reinforced Tank Regiment (T-80U / BMP-2) in 1st Echelon (Div). Intention: Taking the STRAIT of SCHÖPPENSTEDT - WINNIGSTEDT (10km south) and continuation attack with 2nd Echelon (Div). b. own: PzBrig 91 will defend with 3 BNs in line, main effort in the centre, on line RÄBKE - EITZUM -BARNSTORF - WINNIGSTEDT, delay 1st Echelon (Div) and dismiss attack latest on FEBA. Destroy, under frontal bind, enemy 2nd Echelon (Div) by counterattack in their flank. PzBtl 911 situated in the centre, main effort, is currently set up for defense between EITZUM and BARNSTORF. attachments: 3rd company PzGrenBtl 912 (3./912), 1 tank hunter platoon (PzJgZg) in cooperation: 1 SPAD (self propelled air defense) platoon 2. mission reinforced PzBtl 911: - cover recon patrols EAGLE11 and EAGLE14 from 900th armored recon company (PzAufklKp 900) along passage lanes (LANE A, LANE B), - afterwards delay enemy forces about 90min, together with right neighbor PzBtl 912, - canalize enemy 1st Echelon (Div) to area GROSS DAHLUM - WOBECK - DOBBELN - INGELEBEN and defeat them, - then bind 2nd Echelon (Div) frontal, to create the conditions for the counterattack of BrigRes in the flank of enemy 2nd Echelon (Div) and their destruction. 3. execution Intention CDR PzBtl 911: - reinforced PzBtl 911 will delay enemy 1st Echelon (Rgt) with an armor heavy force, - Therefore defend in such a way, that with long range weapons, artillery and obstacles as well as flanking fire, RED is weakened early and channeled into the center (main effort) of our defense. - block enemy forces flexible and - defeat enemy with all available units by flanking fire. 2./911 (B/911): …... - after delay new BN Res: - supply after arriving in area of Res immediatly; - prepare as BN Res: o reinforce 3./912 in bp 10; o stop enemy from bp 11; o counterattack BLOW against enemy in front of 3./911 and 4./911; o counterattack STITCH against enemy in front of 4./911 and 3./912; 3./911 (C/911): - detachments: 1 tank platoon to 3./912; - in cooperation with tank hunter platoon (PzJgZg) and 1 SPAD vehicle; - secure from X+45 south of INGELEBEN from bp 3S and over watch and cover withdrawing elements of 2./911; - defend southern area of defense along bp 3, 6 and 9; - engage blocked enemy forces in front of 4./911 and 3./912 with flanking fire; - be prepared to support counterattack STITCH; - no obstacles in the area of STITCH. 4./911 (D/911): - main effort; - attachments: 1 PzGren platoon from 3./912; - in cooperation with 1 SPAD vehicle (under BN lead); - secure from X+45 eastern part of GROSS DAHLUM bp 2S with a tank section; - over watch and cover withdrawing elements of 2./911; - engage enemy early from bp 2; - defend centre of area of defense along bp 2, 5 and 8; - hold SCHLIESTEDT; - block enemy forces, possibly with BN Res, latest from bp 8; - support counterattack of BN Res from bp 2. 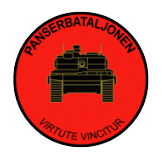 3./PzGren912 (C/912): - attachments: 1 tank platoon from 3./911; - detachments: 1 PzGren platoon to 4./911; 1 PzGren platoon to 2./911(back subordinated after delay); - secure from X+45 ca. 2000 north of GROSS DAHLUM in ELM, bp 1S; - over watch and cover withdrawing elements of 2./911; - engage early enemy point forces from bp 1; - defend northern part of our area of defense along bp 1, 4 and 10; - over watch and block with preferably less forces western forest area of ELM; - hold EITZUM possibly with support from BN Res; - engage blocked enemy forces in front of 3./911 and 4./911 with flanking fire; - support counterattack BLOW from bp 1; - no obstacles in the area of BLOW. tank hunter platoon: … ... … 4. service support - battalion aid station (BAS) at HOSPITAL SCHÖPPENSTEDT, mobile health team for delay by 2./911 ; - combat trains (CBT TNS) north- western part of SCHÖPPENSTEDT, parts of CBT TNS attached to delay force 2./911 (ammo, maintenance); - maintenance collection point (MCP) at BANSLEBEN 5. leading elements - radio silence with exception 2./911; open radio after start of defense - brevity list: ALPHA - MIKE ; - BN HQ: southern part of SCHÖPPENSTEDT ; Remarks on the situation: BLUE: - Ammo and Fuel 100%, exception delaying forces ca. 50%, - Equipment: Leo2A5, Marder1A3, M113G3DK/TOW (proxy for JAGUAR), 2S6 Tunguska proxy for GEPARD (=CHEETAH) and STINGER - arty: 6 platoons à 4 tubes (HE, smoke, ICM, FASCAM) - SPAD units additionally equiped with STINGER - priority of fire first by delaying force 2./911; FASCAM (self destruct: 30min) released for it; More details according to blocking and fire plan (TRIGGER! ); each company has 1 FO. RED: - strength: ca. 85% - Equipment: T-80U, BMP-2, initial situation: enemy: Attack of 1st Echelon (Rgt) stopped in the area of TWIEFLINGEN - HOIERSDORF - SÖLLINGEN. Enemy forces had heavy losses and preparing a hasty defense. The 2nd Echeleon (Rgt) will attack shortly with 2-3 Tank-/MechInfBN. We think main effort will be in front of 3./911 and 4./911, possibly secondary attack against 3./912. own: 911 delayed succesfully without appreciable losses. Delaying forces withdraw with last elements and started resupplying. Currently no enemies spotted in front of PzBtl 911. 4./911: - centre area and full resupplied; - 910th armored engineer company (PzPiKp 910) finished preparation of vehicle emplacements. ( You can move the emplacements in the assembly area ); - Arty fire 9153, 9154, 9156, 9157 u. 9158 (self destruct 30min) retrievable via FO ( TRIGGER ); - BN Res shortly retrievable in bp 11 to support ( TRIGGER ); - your callsign: LONG PIPE It`s now: X + 100 ! NOTE: You can move your units in the assembly area of 4th company! After mission START you have 5min to go in position, after 5min the RED script will start. Mission time: 70 minutes! The marked battle positions (bp) 1-11 in the overlay orders are the intention of your BN CDR to show his continuity of defenses. The real battle positions of the tanks or IFVs can deviate up to 500m! If you want to fall back with your company, you have to make a request to your BN CDR ( TRIGGER )! Follow the situation development from your neighbors ( CHATBOX ) ! Good Luck! This scenario is based on a tactical challenge during a tactical further education of the german army. Kanium Sunday April 1st. 1900 UTC - Elvis Ringing the doorbell by Zipuli Where: Kanium TS : teamspeak3.i3d.net:10077 Time Everybody is Welcome you don't have to belong to kanium Old modified Zipuli mission with opfor added.... 8) Briefing will be updated tonight Mech TF CO's orders to you: 1. SITUATION ENEMY: Enemy 63rd Mech Rifle Regiment is attacking south-west via the Highway 6. Its forward units are already in battle with our InfBn107. The Bn should be able to hold out for one more day - but then a breakthrough is possible. The regiment has covered its left flank with quite strong detachment (we believe around 2 companies of Mech Infantry + possible tank detachments, possible guarding the whole Division's flank!). The detachment has already conducted recon by fire against our Jäger Bn 101 suffering minor casualties. FRIENDLY: Jäger Bn has moved in to block the enemy flank guard units from advancing further west. 1. MechTF has moved to the area and has suffered casualtied from enemy air attacks. 1st Co+ (ELVIS - you!) has reached R15 (Ref Point 15) and is ready to attack north. Armoured Recce platoon (EYE) is already in the objective area giving out info on the enemy. MISSION: 1st MechTF attacks north towards Highway 6 and destroys enemy flank guard units. Attack must begin ASAP. After defeating the flank guards the TF will attack the Regiments flank to release the pressure on InfBn107 and to allow further counter-attacks by other friendly forces. Commander's mission to subordinates (in the area): 1st Co (ELVIS): Attack to R19 - secure the area and be prepared to continue north towards R31. Destroy any resistance you run into - enemy is believed to have ~platoon size "doorbell" force in the village. After reaching R19 Mech Inf-Platoon (ARROW) will move in and hold the area while you continue the attack. KANIUM SUNDAY 25th of Mar 1900 UTC “Steel Claw” by Apoc with OPFOR Where: Kanium TS : teamspeak3.i3d.net:10077 https://www.timeanddate.com/worldclock/fixedtime.html?msg=Kanium+SB+Event&iso=20180325T20&p1=69&ah=2 Everybody is Welcome you don't have to belong to kanium 1. SITUATION a. Enemy. An Armored Battalion from the 881th Brigade Tactical Group (BTG) is established in a deliberate defense along the Cay River, with strongholds in two vital towns along our Brigade's Axis of Advance. Their current disposition is unknown, but they are composed of 6x Platoons of T-55A tanks, 3x Platoons of BMP-1's, 3x Platoons of BTR, 1x Recon platoon (BRDM-2), and 1x Platoon of 2S1 Artillery. b. Friendly forces will conduct an attack to defeat the 881 BTG, in order to allow friendly forces from 2nd Battalion to pass through our area of operations, along Highway 5. To the east, Team Apache will conduct an attack to fix the 2-881 BTG, and to our West, Team Bulldog will attack to fix the 3-881 BTG. Simultaneously, Team Kanium will attack to clear enemy forces along Highway 5 in order pass elements from 2nd Battalion that will continue their attack to the south to defeat the 882 BTG . 2. MISSION Team Kanium attacks to clear the 1-881 BTG between PL BLACK and PL GOLD in order to pass friendly forces for follow on operations. 3. EXECUTION a. Purpose. The purpose of this operation is to clear enemy forces from Highway 5 so that that follow-on forces have freedom of movement along the high-speed avenue of approach. b. Key Tasks 1. Clear 1-881 BTG 2. Seize OBJ PANTHER 3. Seize OBJ COUGAR c. End State i. Terrain. Objectives PANTHER & COUGAR are seized; Highway 5 is cleared for 2nd Battalion. ii. Friendly: Friendly forces are established in a hasty defense along PL GOLD, prepared to safely pass follow-on forces from 2nd Battalion. ii. Enemy: The 1-881 is cleared between PL BLACK and PL GOLD; unable to interfere with follow-on friendly forces. iii. Civilian: Minimal collateral damage and disruption to the civilian way of life. d. Fires 6x Tubes of 120mm Mortar (organic) 3x Sorties of CAS (AH-64 w/ 2x Hellfires ea - yes, I know this is not realistic or era-specific - but it works well as "notional" CAS). Call-sign "Troublemaker" will begin their approach and engage targets of opportunity upon call (Trigger by A66/A65) then RTB.